The muse in the magic? Home » Project blog » Uncategorized » The muse in the magic? On Friday 27th November, Jen, Chris (B) and I set off (very) early from Edinburgh in preparation for the launch of the ARTIST ROOMS Mapplethorpe: The Magic in the Muse exhibition at the Bowes Museum in County Durham. Despite horrendous travelling conditions most of the way, the clouds parted to reveal a sunny Barnard Castle – a good omen, surely. With the launch taking place in the evening we had the whole day to install beacons in the gallery, test functionality of the artcasting app and wifi in the spaces we would be using. It was a busy day for us (we even missed the Silver Swan at 2pm) but also a busy day for staff at the museum. 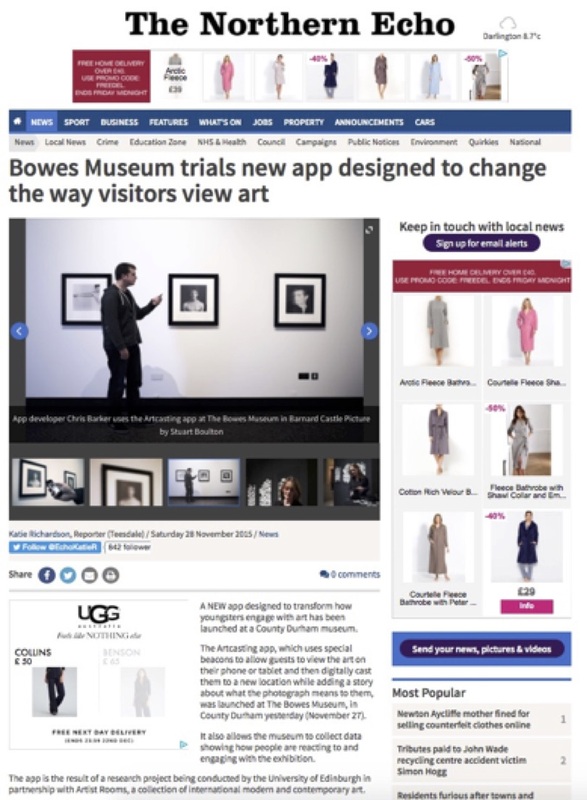 Despite this, Celine Elliot (Project Coordinator), George Harris (Exhibitions Manager) and the team at Bowes were generous in their support of the artcasting team, sending reporters our way throughout the afternoon. I spoke with the Teesdale Mercury and Chris spoke with the Northern Echo. 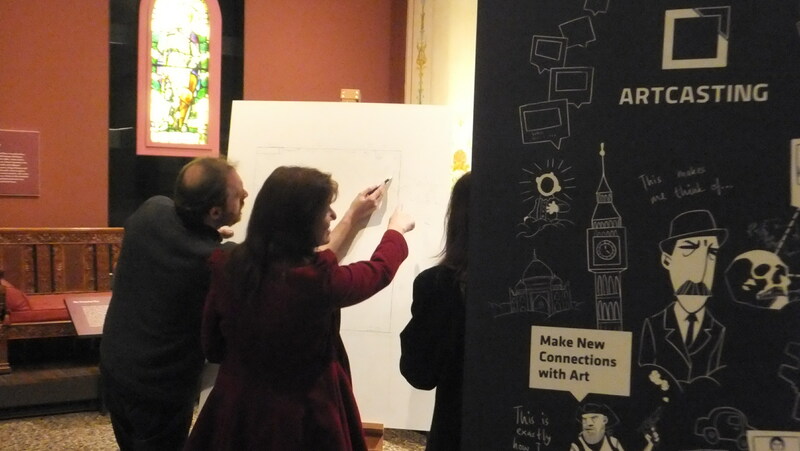 The event was attended by over 150 people and we were pleased with the diversity of the audience, particularly young people involved in activities organised by the Bowes Museum in the lead up to the launch. 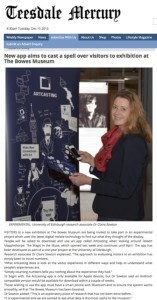 Photography students had also travelled from Newcastle for the exhibition opening. Following speeches from George Harris and Sir John Leighton (Director General, National Galleries of Scotland) visitors were allowed into the exhibition. Some wifi connectivity issues meant we needed to do a little bit of improvising during the launch, but a number of people were able to do some artcasting using our devices. 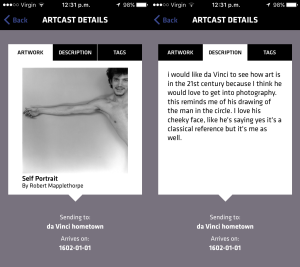 We were delighted with the enthusiasm for the concept of artcasting and the willingness of all those who gave the app a go. 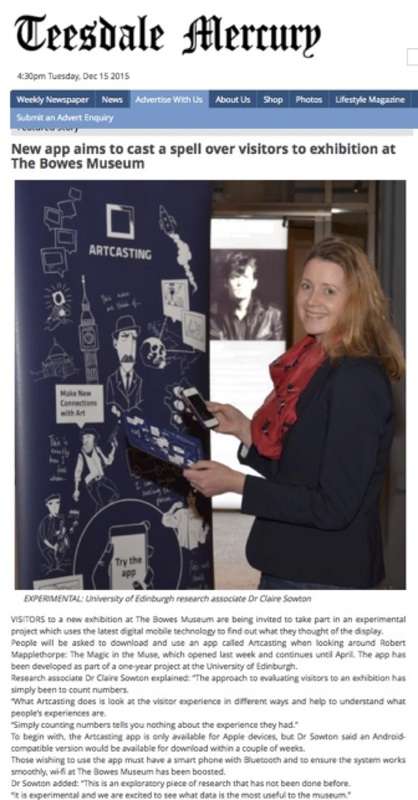 It was great to see artcasting being used in a range of ways though similar to those we had experienced as part of Explorathon at the end of September. We were also thrilled to have Mitch Miller, our artist in residence for the event, on hand to talk to visitors using the artcasting app (Jeremy will be writing more about Mitch’s work and this aspect of the project in another blog post). Mitch sketched out the space of the gallery and the stories that visitors relayed to him after engaging with the exhibition and with artcasting. 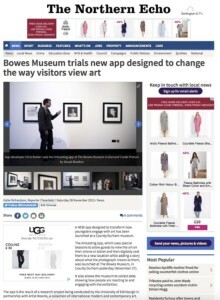 Mitch will continue to work with data generated through artcasting so that he can produce his response to artcasting at Bowes in the form of a dialectogram – a combination of map, diagram, comic and architectural plan. 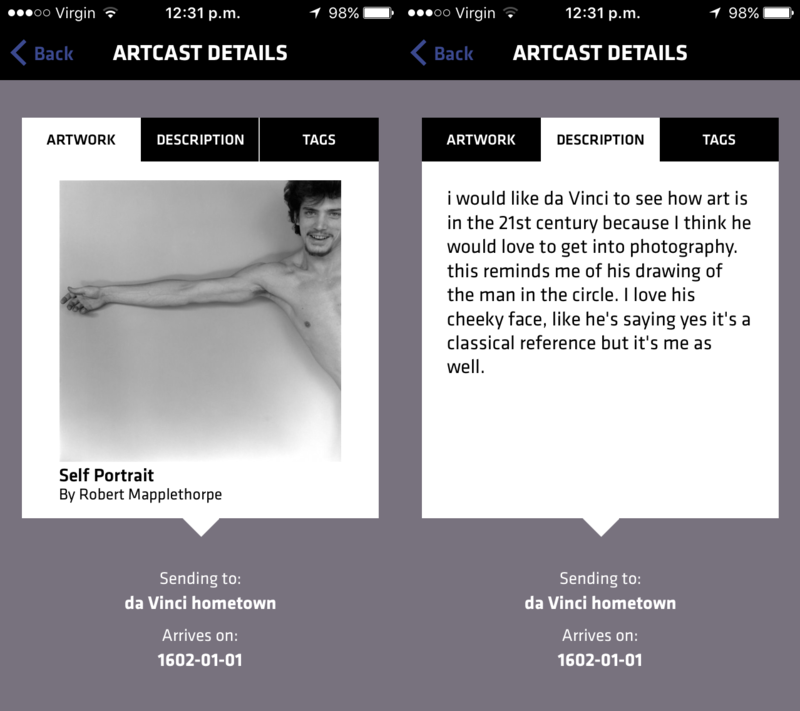 While Mapplethorpe explores the magic in the muse, Mitch is looking at the magic of artcasting as the muse for his artistic collaboration with us.